Bet on your favorite items via the Internet via your smartphone, tablet or personal computer by accessing our secure auction platform at all times. Do not believe the myth! Many people tend to believe that they can not participate in auctions, that you need to invest a minimum or even own a business to do so, did you know? The truth is surprising, no minimum deposit is required, the registration process is free, participating is simple as hello and better yet, you can do it without even moving. At Phoenix Auctions, we make it our duty to have quality lots, interesting items and we refuse to place items of least interest in the auction in order to mark the process as well as possible! You do not have to be an insider or a professional to participate in an auction. Registration at our auctions is free and takes only a few short minutes. You do not have a credit card number to provide online at auction. You only have to pay for the prizes you won. We are honored to keep our auction fees to a minimum. We do not accept to place lots at auction if they are of no interest or value. We will be there to assist you in case of problems or questions. You will be delighted to discover our services! Unless otherwise stated, our auctions are based on the principle of "soft" closures commonly known as "soft close". This operating principle allows additional time for buyers interested in a bundled object or batch to bet. The principle is that an additional one to three (3) minutes be added to the time allotted to wager each time a person outbidding at the very end of the auction. 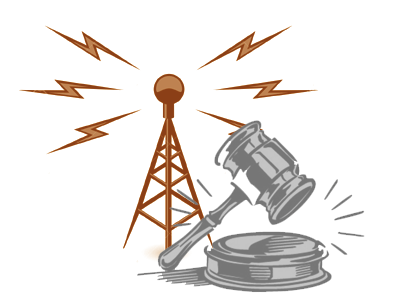 As for the bid increments (minimal amount to bid against someone) at the auction, they are predefined and also in stages, which makes it possible to obtain fluid auctions and which do not lengthen. The lots available at our auctions will be put online for consultation a few weeks in advance in order to allow you to make an informed choice and allow you to "monitor" these items in order to be able to bet at the beginning of the auction. You can also view the details of the auctions for the inspection of the lots in person and on site. Payment of prizes won is made on or before the day of pick-up if you wish to pay by Interac e-mail or PayPal. For on-site payments, we accept payment in cash and also via debit or VISA. The date or period of taking possession is variable for each auction, this information is specified when you register with any other terms and / or conditions. In the event that you are unable to present yourself at the time stipulated in the conditions of the auction to take possession of your items, we invite you to notify us as soon as possible to see if we can accommodate you or solve the problem. As an alternative, it is important to mention that, as our warehousing capacity is limited, we will be obliged to hand over your items for sale at the following auction and, unfortunately, will place you in position to have to pay certain expenses or face the penalties stipulated in the conditions of the auction. Phoenix Auction is a company with one and only goal; To allow individuals and / or entrepreneurs to have a showcase to sell and buy goods easily and with as much pleasure as possible. Maximize your revenues and create opportunities by doing business with us because we are aware that without you we would not be there!